will teach you the practical benefits of daily meditation. Just 40 minutes could improve your quality of life. The “Relax” Masterclass will be available online – starting at midnight, your time – and accessible throughout the day. The Relax Masterclass lasts about 45 minutes. The “Clean and Rejuvenate” Masterclass will be available online – starting at midnight, your time – and accessible throughout the day. The Clean and Rejuvenate Masterclass lasts about 45 minutes. In the second class, you can be guided through a simple rejuvenating technique for the end of the day. This can unwind your mind, release stress and negative emotions to simplify your life. The “Connect” Masterclass will be available online – starting at midnight, your time – and accessible throughout the day. The Connect Masterclass lasts about 35 minutes. In the third class, you can learn to connect with your inner Self by listening to the voice of the heart. In learning to observe your deepest feelings, you can make wiser life choices. 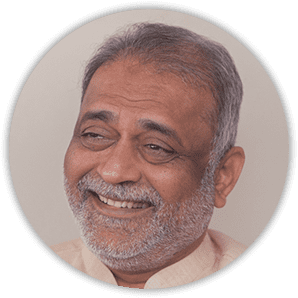 Known to many as Daaji, Kamlesh D. Patel is the fourth guide in the Heartfulness tradition of meditation. Embracing the many roles of a modern-day teacher, he has that rare capacity that allows him to dive deep into the centre of his existence in the heart, and simultaneously have a scientific approach to original research in the field of meditation, spirituality and human evolution. He is a prolific speaker and writer, and you can read his latest series on the evolution of consciousness. To learn more about Daaji, go to www.daaji.org.